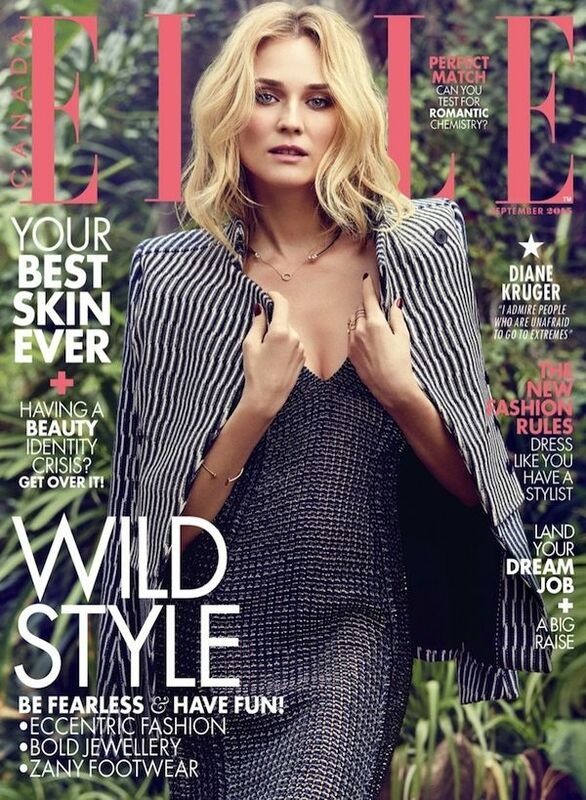 Diane Kruger is stunning, as always, for the September issue of Elle Canada. Even though it's still hot out, her cover story has us excited for our fall favourites, like textured layers, smart blazers, and burgundy-hued pieces—how epic are those lace-up thigh-high boots? Keep scrolling for a look at the issue and how to get her look, then head over to Elle Canada for the interview! Are you excited for fall fashion? What do you think of Diane Kruger's spread? Let us know in the comments.